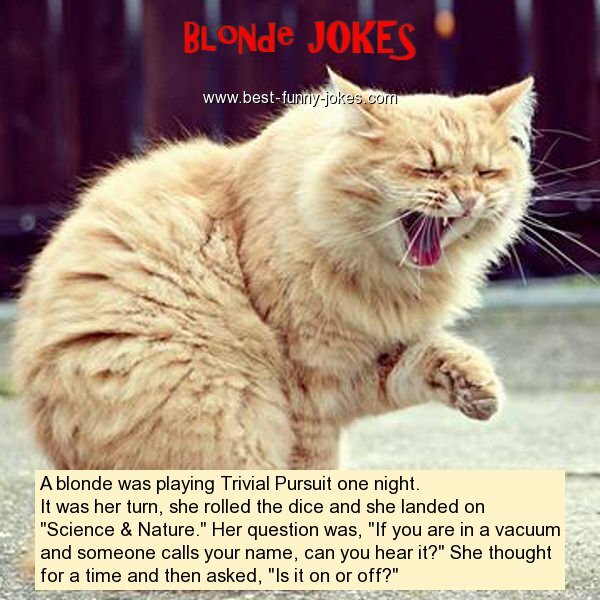 It was her turn, she rolled the dice and she landed on "Science & Nature." Her question was, "If you are in a vacuum and someone calls your name, can you hear it?" She thought for a time and then asked, "Is it on or off?"